Areas of the building fabric that maybe affected by moisture will have a higher thermal mass when compared to dry (healthy) parts. 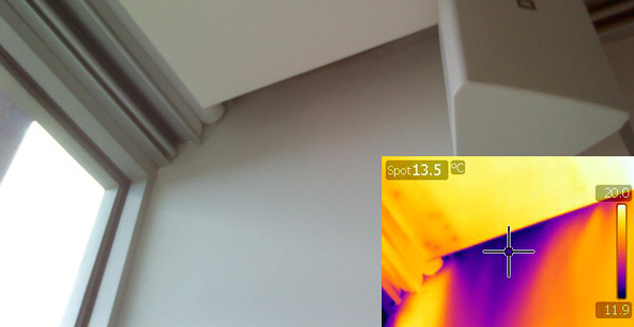 Therefore during dynamic thermal conditions, moisture affected areas will heat-up/cool down more slowly when compared to dry areas and therefore may result in a temperature difference on the surface of the floor, walls, ceilings, etc. Our Surveyors have a thorough understanding of the complexities of buildings ranging from domestic homes through to large industrial and commercial facilities. 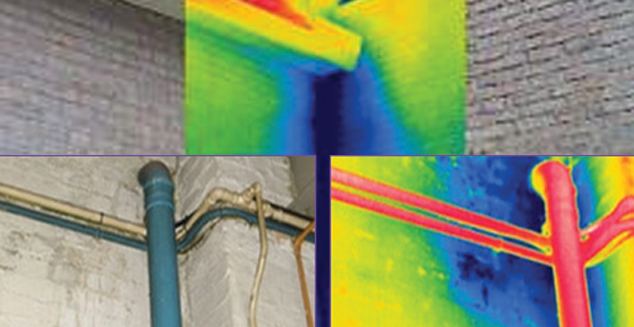 Using a combination of thermography and moisture detection meters, our survey approach and report structure has been developed to satisfy the requirements expected by our clients but also their Insurance Companies. Simply fill out the easy form below and we’ll send over our best quote for you.